We were here again, slightly more than 6 months after our last visit (see earlier review of L'Atelier). A birthday again and we were in the mood for more casual fine-dining (an oxymoron perhaps?) by the counter. The restaurant appeared to still be very popular, with all the tables taken up that Saturday night and the restaurant was still taking new seatings after 10pm. We took our preferred table at the counter, which, though less conducive for private discussions, gives us a different dining experience. Inevitably, throughout the night we were warmly entertained by the staff manning our section of the counter, as he and his colleagues made conscious efforts to stay engaged with their guests throughout their dinners. 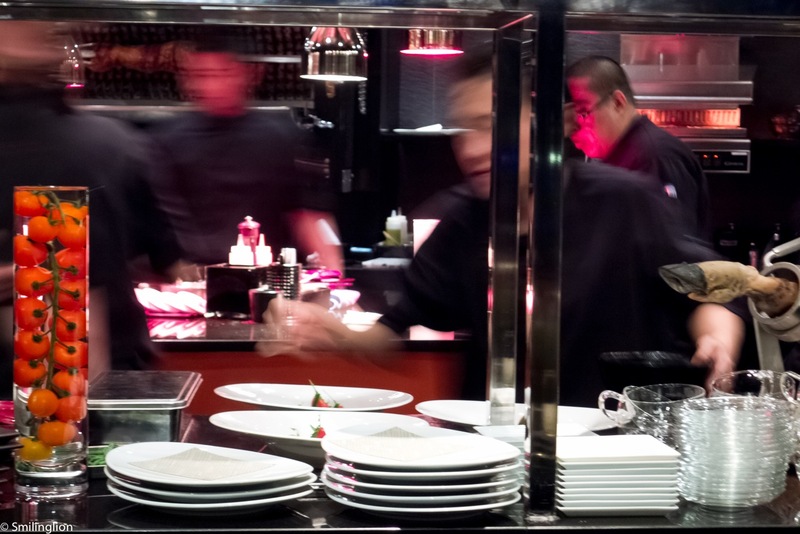 Also, being able to watch the entire kitchen makes for some entertainment, as we could watch the cooking and plating of the food. We also found it strangely compelling to watch them wipe down the kitchen when it got late (we had the 9.30pm seating) after the cooking was done. 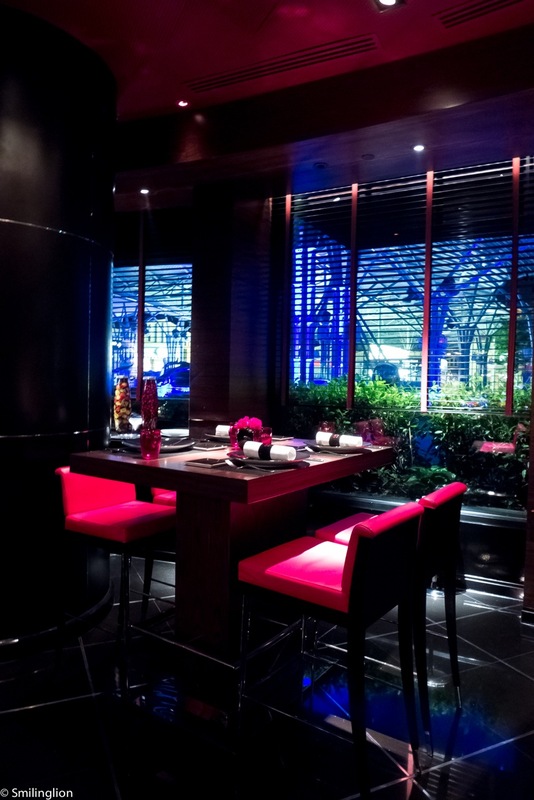 We took the degustation menu, which seemed a pretty good deal, since we observed that some of the diners next to us who ordered a la carte had main courses which didn't look significantly larger in portions than those we got as part of our set dinner. L'Amuse Bouche - foie gras custard with red Porto wine and parmesan foam: same as what we had last time, still very good. Le Caviar Oscietre - Ossetra caviar over capellini dressed with fresh tomatoes: Looked beautifully plated but somehow was less impressive than we expected. 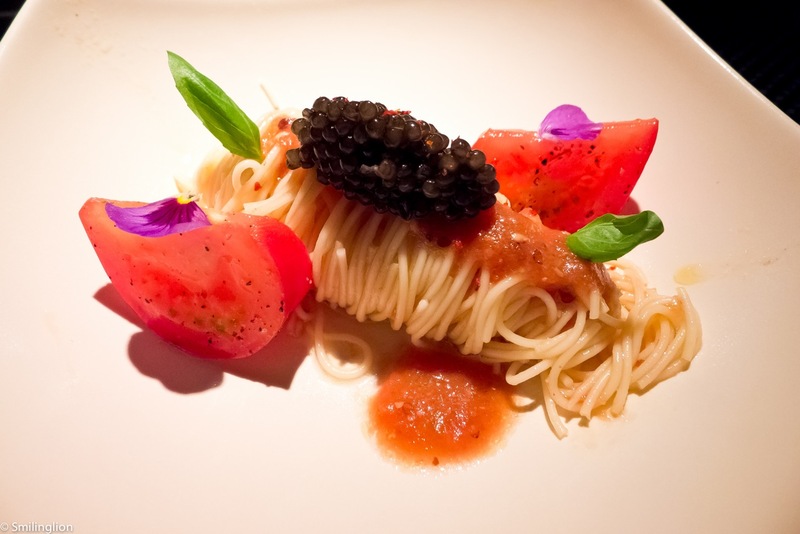 The light tomato puree didn't have much flavour (other than a unremarkable tanginess) and the pasta was rather tasteless. It only made us crave the ones made at Gunther's and Gordon Grill, though to be fair the potion of caviar here was much larger and the quality top-notch. 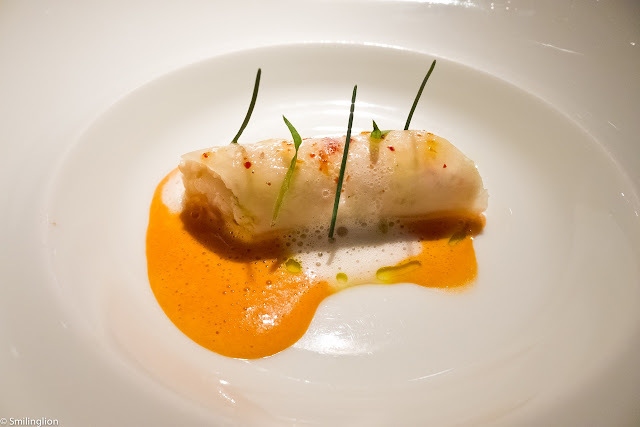 Le Crabe Royal - king crab on a daikon wrapping cannelloni style: A brilliant dish. The crab was sweet and fresh and there was a crunchiness brought about by the daikon. The sauce was a crab bisque with a hint of cumin and chili powder. 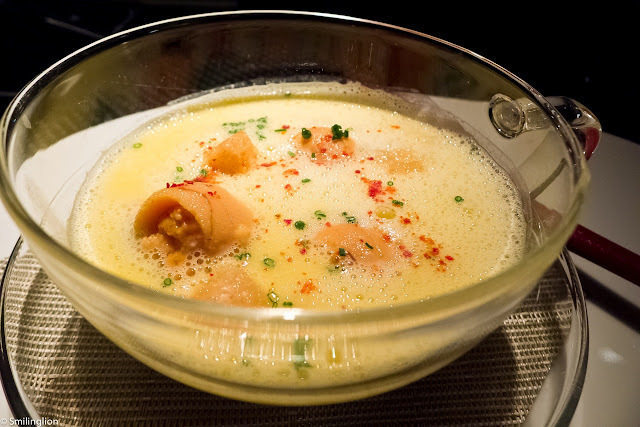 L'Oursin - sea urchin on a shellfish custard with creamy corn foam: Another innovative and excellent dish. This was a modern European take on the Japanese chawanmushi with raw sea urchin and oyster and a well-balanced corn chowder. The was a myriad of flavours and textures and every scoop brought out a different taste. 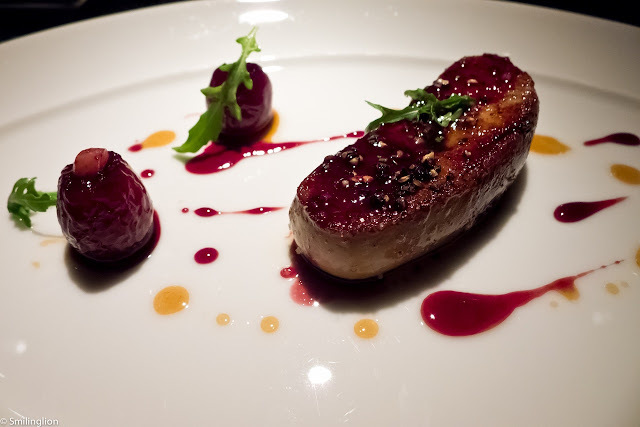 Le Foie Gras - pan seared foie gras with cherries, rosemary and fresh almonds: Executed perfectly in the classical style. 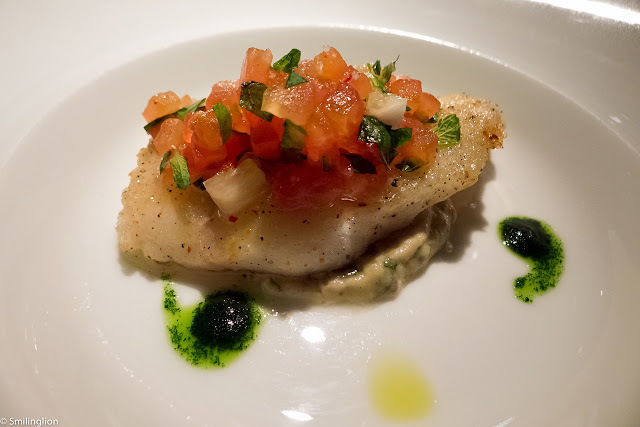 La Barbue - brill with eggplant caviar and fresh mint: Was decent enough but the fish wasn't on its own very impressive. The dish was saved by the clever use of mint which bought out some unique flavours. 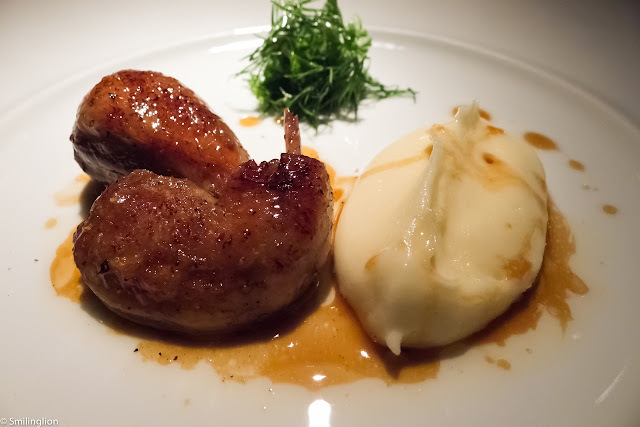 La Caille - foie gras filled free-range quail with mashed potatoes: A very good main course. The quail, though in a rather small portion, was excellent and the house staple Robuchon mashed potatoes were served free flow (we each had an additional bowl of it). 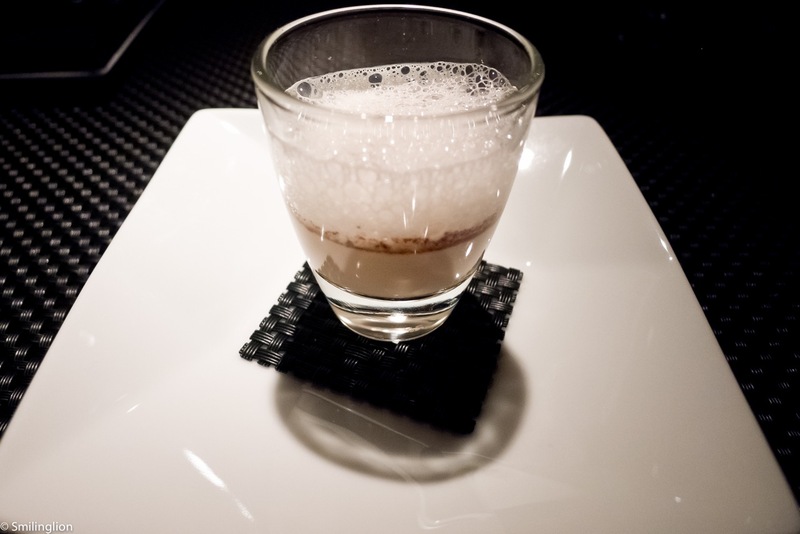 L'Exotique - exotic flavours of the island and coconut ice cream: A refreshing dessert but a bit boring as it was very similar to the one we had the last time we ate here. 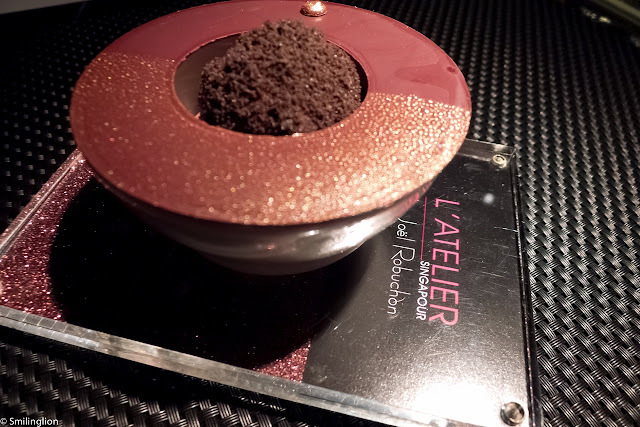 Le Sensation - creamy araguani chocolate with cacao sorbet and oreo cookie: Not as good as the previous dessert and also very similar to the dessert we had at Joel Robuchon the last time. It was lamentable that they had to recycle their desserts even over quite long stretches of time. 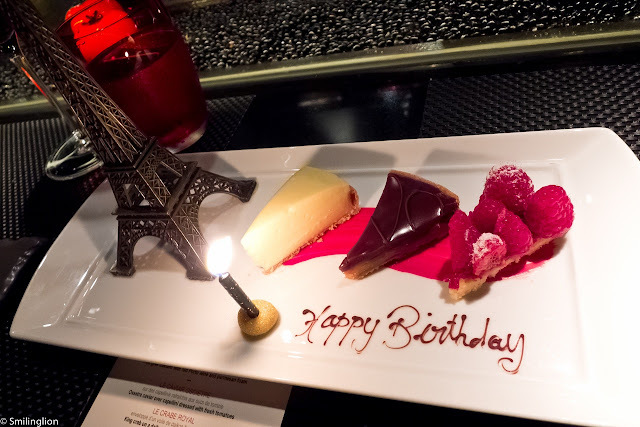 The assortment of tarts which we loved the last time were served this time on a plate in lieu of a birthday cake (we were celebrating a birthday). The lemon and chocolate tarts were particularly good. 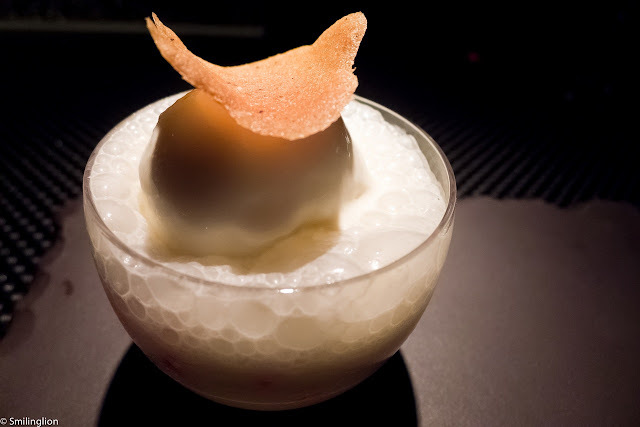 Final Thoughts: The food and service here are still amongst the top in Singapore, and the more casual setting (and sitting on a high stool eating from the counter) can be fun if one was in the mood. We thought that the price of the wines on the wine list seemed to have gone down slightly, or it could be because they had a wider selection with more wines at a lower price range. Either way, we had a decent Gevrey Chambertin which was cheaper than what we we remembered such a bottle of wine costing before.